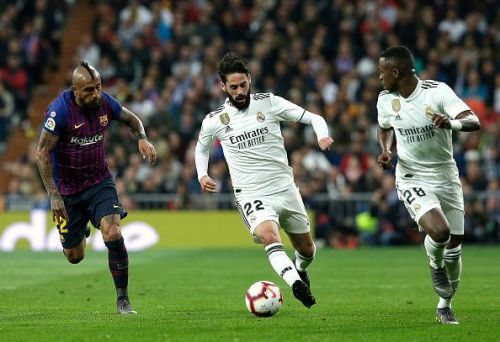 The second El Clasico in a little over 72 hours took place at the Santiago Bernabeu, with Barcelona running out 1-0 winners courtesy a strike from Ivan Rakitic in the first half. The defeat all but guarantees that Real Madrid would finish the season without domestic silverware, with their only realistic hope of a trophy coming in the Champions League, where they would attempt to win the title for a record-breaking fourth consecutive time. For Barcelona on the other hand, it takes them one step closer to successfully defending the domestic double they won last year, while they are also on track for a unique treble. In this piece, we shall be taking a look at five talking points from the 241st official El Clasico. Real Madrid made a disastrous start to the current season, with the 5-1 capitulation at the hands of Barcelona in October last year being the breaking point. Then manager Julen Lopetegui paid for that loss with his job, having his contract terminated after just 14 matches in charge and for his replacement, the club looked inwards, signing youth team manager and former player Santiago Solari to take charge of the first team. The Argentinean manager got off to a bright start, winning his first four matches in charge which led to his appointment on a permanent basis. Since then, things have not been so smooth for the 44-year-old, as Real have blown hot and cold, posting some impressive results such as the 1-1 draw with Barcelona at the Nou Camp as well as the 3-1 victory over Atleti away in LaLiga. There have however been some shock losses, including home defeats to Leganes and CSKA Moscow as well as a 3-0 loss away to Elche, while the consecutive home defeats to Barcelona are undoubtedly the major low points. A loss to Barcelona is never tolerated at any venue, much less at the hallowed Bernabeu and in consecutive games for that matter. 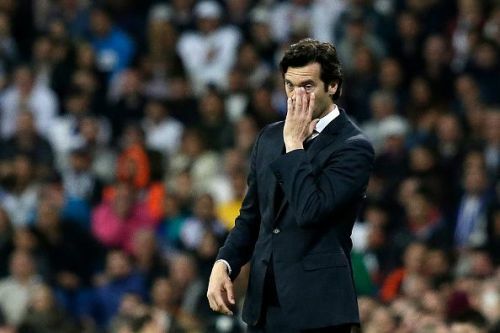 These sets of Clasico losses are sure to crank up the pressure on Solari (which is something he has first hand knowledge of, having played under five different managers in his five years for Real Madrid).